What can you do to increase your safety and security when flying? Since the tragic events of Sept. 11, many people use the terms "safety" and "security" a lot, especially as they relate to travel. Sometimes the two words are used synonymously. But there is a significant difference between the two words when it comes to air travel. Aviation safety refers to the efforts that are taken to ensure airplanes are free from factors that may lead to injury or loss. Jet airplanes always have been safe - they have to be, or the manufacturers wouldn't be in business long. Commercial airlines and major manufacturers like Boeing Commercial Airplanes [NYSE: BA] adhere to every safety regulation mandated by the regulatory agencies - and then some. Aviation security is only one component that may affect passenger safety. It is not so much related to the airplane itself, but rather to intelligence gathering, pre-boarding procedures and airport security personnel. It is mainly aviation security that has been receiving urgent attention since Sept. 11. "Commercial jet travel is one of the safest modes of transportation," said Steve Atkins, vice president, Airplane Safety & Airworthiness, Boeing Commercial Airplanes. Regular, detailed maintenance programs are in place that avoid and catch problems before they become serious enough to jeopardize an airplane's ability to fly safely. As seen here, with the Boeing-developed Portable Maintenance Aid (PMA) software, line maintenance workers can quickly pinpoint aircraft technical problems without searching through thousands of pages of manuals that are usually located a considerable distance from the airplane. The PMA consists of key maintenance and troubleshooting information contained in just a few compact disks that can be loaded into a laptop computer. Atkins points out that more than 3 million people fly safely on commercial flights around the world every day, and 70 percent of the airplanes flying today were built by Boeing. The risk of being in a commercial jetliner accident with multiple fatalities is approximately one in three million. Fewer people have died in commercial airplane accidents in America in the past 60 years than are killed in U.S. automobile accidents in a typical three-month period. Airplane Design. Boeing engineers focus on safety issues from the earliest design stage to the end of an airplane's serviceable life. Airplanes are designed so they can perform in conditions well beyond what would normally be needed in regular operations. They must be able to anticipate and avoid problems, function at full capacity if something does go wrong and meet the minimum certification standards set by the government regulatory agencies. Major systems are designed with double or triple backups, or redundancies. For instance, mechanical compasses back up electronic gyrocompasses, and every airplane has several kinds of radios. Human Factors Engineering. Since 70 percent of all commercial airplane accidents are the result of human error, Boeing makes the study of human factors a high priority when it is designing airplanes. 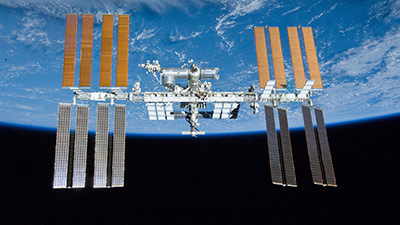 Human factors specialists, many of whom are pilots or mechanics, focus on flight deck design, cognitive psychology, human performance, physiology, visual perception, ergonomics and human-computer interface design. "The ultimate goal is improved interaction between humans and machines," said Hank Queen, Boeing Commercial Airplanes vice president of Engineering. Government pilots go for "check" rides to observe pilots while they are flying. Agencies review airline training programs, and audit maintenance records, production facilities and airport security methods. Agencies assign a principal maintenance inspector, a principal operations inspector and a principal security inspector to each airline. Agencies assign engineering and quality inspectors to airplane design and manufacturing facilities. Airplane maintenance regulations. Boeing helps train the airline pilots and maintenance employees, and works with airlines on a constant basis to monitor the performance of aircraft. Airlines set up regular, detailed maintenance programs that help avoid and catch problems before they become serious enough to jeopardize an airplane's ability to fly safely. 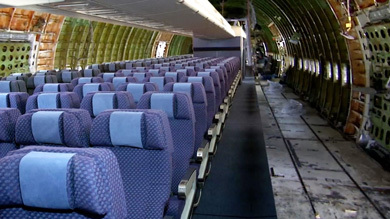 Besides undergoing daily maintenance, each airplane is taken apart and put back together again every three to five years. All major components and systems are replaced as needed then. Air travel gets safer every year. 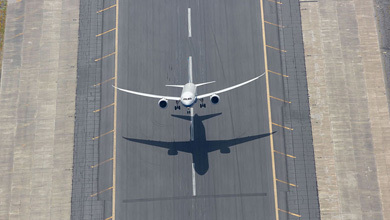 Since the jet era began, continuous improvements have made flying increasingly safer. Airplanes now have expanded radar coverage and high-tech devices to warn pilots of wind-shear conditions, nearby aircraft and proximity to the ground or mountains. Pilot training also has improved greatly through the use of new computerized flight simulators. What's in store. In the not-too-distant future, all commercial jets will use satellites to convey their positions to air traffic controllers. 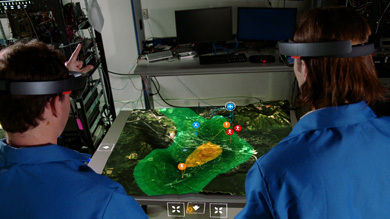 This will allow controllers to "see" the airplanes even after they fly beyond the horizon. Boeing is currently working on new procedures called improved radio navigation, or RNAV, and required navigation performance (RNP). Using Global Positioning System (GPS) receivers, these processes improve approach and landing precision at airports that have limited ground-based navigation equipment. GPS receivers have been basic equipment in all Boeing airplanes for several years. In places with little or no ground-based navigation, GPS allows airlines to navigate using satellites. 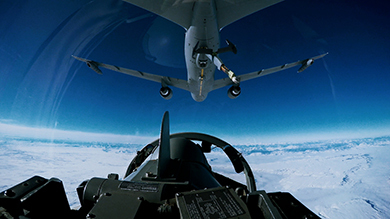 GPS also serves as a navigational aid for jets when flying in poor weather conditions. Airlines can use RNP/RNAV procedures to get in and out of remote airports that often get socked-in by inclement weather. Working together. Boeing is working with others in the aviation industry to reduce airplane accidents. In the United States, for example, various interested parties have joined the Federal Aviation Administration in a Commercial Aviation Safety Team. The team's goal is to reduce the U.S. commercial fatal accident rate by 80 percent by the year 2007. "Boeing is proud of the outstanding safety record our industry has achieved," said Alan Mulally, president and CEO of Boeing Commercial Airplanes. "But we're never satisfied. We work literally day and night with our customers, pilots and government officials to make flying even safer." 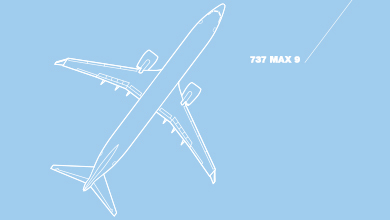 The Boeing Company recently launched an extensive aviation safety web site. "Aviation safety is a topic of interest to people all over the world," Mulally said. "A lot of misconceptions surround this issue, and this new Web site will help educate people about airplanes and how they work, as well as answer their questions about aviation safety." What is being done to improve aviation security? The Boeing Company is developing enhanced security flight deck doors for 747, 767 and 777 airplanes. The new security features include increased blunt-force and ballistics-resistant materials and devices to open the door or release special panels for sudden decompression. The new doors also include an electronic lock that will give pilots authority to admit or deny access to the flight deck. Federal Aviation Administration certification and installation will begin the summer of 2002. Last fall, Boeing formed a new organization to respond to the increased need for better travel security. The Safety and Security Services organization was formed to help Boeing airline customers implement the recommendations of the U.S. Department of Transportation Rapid Response Team (RRT) on Aircraft Security. "Our team is looking at the security of the entire transport system itself," said Charlie Higgins, vice president in charge of the group. "We are working toward a wider range of improvements that will create a more secure and efficient transportation system for the 21st century." 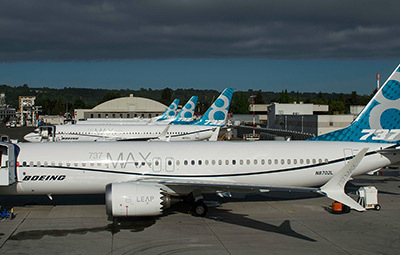 Boeing and the Air Transport Association are taking the lead in getting the FAA, airlines, manufacturers and others to respond to the RRT recommendations. "We are working with everyone in the aviation industry to develop recommendations for common industry-wide security standards," said Toby Bright, Boeing Commercial Airplanes executive vice president - Sales. "We have no competitors when it comes to safety and security - only colleagues." Stronger Cockpit Doors. One of Boeing's first enhanced security successes was the development of stronger cockpit doors. These new doors are able to withstand bullets, explosives and enough blunt force to resist a strong, large male ramming the door at full force. Door designs for all Boeing aircraft are in final certification programs, and about 30 United States and international airlines have ordered approximately 3,300 Boeing-approved door-strengthening kits so far. Boeing also has teamed with Advanced Interactive Systems Corp. (AIS) to offer security training to federal air marshals and airline employees. AIS has highly regarded expertise in law enforcement instruction, while Boeing brings to the team extensive experience in flight crew training. The most recent and largest aviation security project is the partnership between Boeing's Space and Communications Services and Siemens Corp. to install and maintain explosives detection systems at the 438 U.S. commercial airports. The Boeing-Siemens team will also train approximately 30,000 airport baggage-screening employees under this contract. Seeking a balance. One challenge for the aviation industry is how to increase travel security while at the same time maintaining its appeal. "If we make traveling so inconvenient, troublesome, slow and expensive, people won't fly," Bright said in a recent speech to aviation industry insiders. "The solutions we develop have to do more than just increase security - they have to make air transportation safe, secure, efficient and affordable - and we are working relentlessly toward that goal." 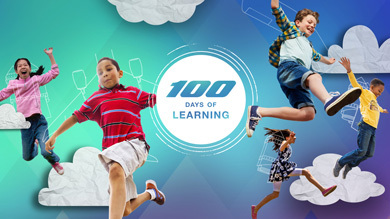 For more information, visit the Boeing Web site.